My wife is being extra special nice to me because I’m sickly. She brought me a hand packed half pint of Baskin-Robbins. You know how ice cream starts to taste when it’s been in a paper carton too long? It was also full of ice crystals. She asked me how it was. I told her it was wonderful…Best I ever had. My first lesson in legal writing came fast after law school. The assignment was to write a report for the Federal Communications Commission. I learned the value of connecting words and phrases that make your writing flow and carry the readers along so they are nodding their heads in agreement by the end. 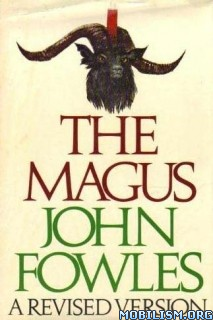 It was about that time that I read The Magus by John Fowles, in which the protagonist discovers that he has been looking at life as a series of events, like mountaintops. But his girlfriend sees the relationships between the events. She sees not only the mountaintops, but the valleys that connect them. Facts are powerful mountaintops. We all like to think we weigh the facts and make rational decisions. But relationships between the facts may be even more powerful. Our decisions may be based on subconscious connections that we are unaware of. One of the things I like about our law firm is that we have people who see the mountaintops and people who see the valleys between. That is some of our lawyers see the facts clearly and others see the relationships. We joke about it and say we have a Partner in Charge of Feelings. But when you are dealing with emotionally charged issues like divorce, children, betrayal, and money, feelings can be the driving force. So by all means, get the facts. But don’t forget the connections. Almost 30 percent of people over 50 had been married more than once, according to a recent study by scholars at Bowling Green State University. We have yet to hear of a divorce over Candy Crush, a popular video game in the U.S. But a husband in Turkey has filed for divorce from his wife of 23 years claiming she is addicted to a game called rummikub, also known as Okey, via Facebook. The wife denies his claims and states, “Playing rummikub is not an act of unfaithfulness.” She says she was humiliated by her husband and counter demands 100,000 Turkish liras for damages. Don’t know what to do with that engagement bling on your finger now that you are divorced? Why not sell it? And website Worthy,wants to help you. Worthy buys and sells jewelry, and holds online auctions for diamond engagement rings. The company says it understands the journey that its customers have been on. Who knew that you could risk divorce by renovating your home? It seems the stress of making design and decorating decisions in sync can lead to bickering and put strain on marriages. Difficulties in renovating their own home, led Adi Tatarko and her husband, Alon Cohen to start a design and decorating website called Houzz.com. “We started running surveys in the early days and got feedback from our community, and that was so prominent. And 12% did say, we did consider a divorce during that process,” said Tatarko, as reported by John Patrick Pullen. She said it was easier running Houzz together than it was renovating their home together. Did you know there is a divorce approximately every 36 seconds in the United States? Is your wife more attractive than you? Don’t worry. She’s probably happier that way. A study by Florida State and Southern Methodist Unversities found that the wives with more attractive spouses felt pressure to obsess over their execise and diets. Women with less attractive husbands, on the other hand, tested as happier and more appreciated.